To say that the National Farmers Union education program played a part in my “growing up,” is an understatement. The education program was a good chunk of my time spent on learning way more than I ever could have in a classroom. I started attending Farmers Union day classes when I was eight years old, and youth camps when I was nine. I continued on with Farmers Union programs through my early teens, and eventually ended up serving on my state’s Youth Advisory Council. This was my first taste at representation – I learned what it’s like to speak and be listened to, and to know that people are trusting you to represent them with their conglomerated beliefs. In 2011, I attended the 75th Anniversary of All-States Leadership Camp in Bailey, Colorado, and was elected to the NFU National Youth Advisory Council (NYAC). During that next year, I got on a plane for the first time and flew to Washington, D.C., for the NFU Fall Legislative Fly-In. I remember walking through the National Farmers Union office for the first time and sitting in the conference room. I remember the events that correlated with the tenth anniversary of 9/11 while we were there and seeing the newly finished Martin Luther King Jr. memorial. Throughout my time on NYAC, I was able to see NFU in action and not just hear about it at my state’s summer camp. When I passed my spot to the next year’s NYAC, in many ways it felt like a graduation. I had completed the youth education program and was coming away with a wealth of knowledge and life skills that I had developed through attending camp over the years. I thought that night was going to be my last night ever at All-States. One year later, I was working as a state camp counselor for North Dakota Farmers Union. I had the privilege to teach campers and see them grow just as I had. As a counselor, I never felt that my job didn’t matter or that my time was wasted on speaking to a camper. The other counselors I worked with felt the same way. We were all very aware of the example that we set week after week to try and help kids get a clearer perspective on life and reach their fullest potential. In 2014, I was chosen to be the NYAC advisor. I attended NFU’s national convention in Santa Fe, New Mexico, and returned to All-States Camp for the third time. The enthusiasm of that year’s NYAC to stay involved with NFU was contagious and filled the entire A-frame. At the national convention in March, I was given the idea to apply for an internship position with NFU. I gave it some consideration while watching campers learn parliamentary procedure and the importance of family farms. Then, eight months later, I found myself applying and accepting the opportunity to be the education intern for the summer. 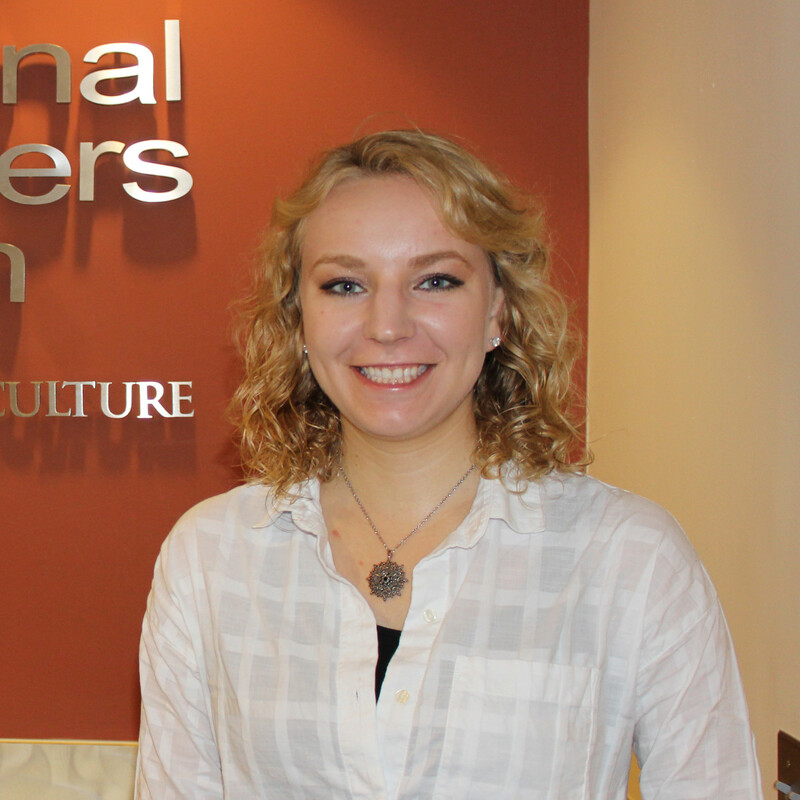 I’m now working at the NFU office that I toured as a high school senior in 2011 and again as I was entering my senior year at North Dakota State University. This past June, I helped out at my fourth All-States Leadership Camp and even got the chance to see my sister pass down her own spot to another new NYAC member. The education program has provided me so many opportunities from that first day class to my current position with the national organization. Not only have I traveled from N.D. to D.C., but to New Mexico and Nebraska as well. Every All-States Camp I attended I treated like it would be my last, and being given the chance to help with the national education program this summer has been incredibly rewarding. Perhaps I will be able to return in the future when I have more knowledge to share with NFU’s future youth. Until then, I plan to continue in a career that lets me help bridge the gap between agriculture, health and America’s consumers, while keeping in mind the lessons that National Farmers Union has taught me along the way.